It is important to clear up a misconception. 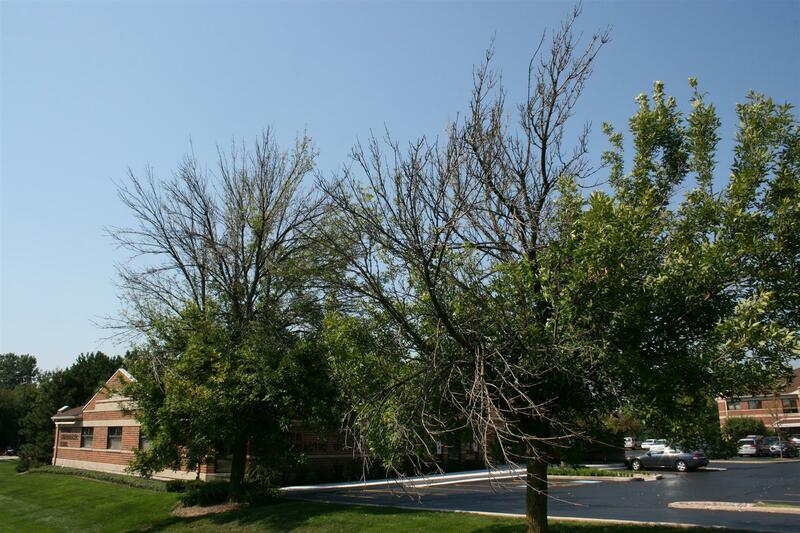 Recently an article appeared in the Chicago Tribune which simply stated that if an Ash tree is already infected, it is too late to begin treatment. This statement is 100% false. This article confused thousands of homeowners who have key Ash trees that they would like to save. The truth, which proper treatment methods by knowledgeable Certified Arborists have proven over and over again, is that as long as an Ash is treated before there is 20% crown damage, the tree can still be saved! The tree might look a bit worse before it starts to improve, but as soon as the Borer is killed within the tree, the tree begins the healing process. It is now known that an Ash tree can be harboring the EAB for 3-5 years before any obvious signs of distress are noticed! It is important to realize that not every Ash tree should be considered for treatment. Questions to ask your self are…Does this tree shade my house, deck or patio? Is it a sentimental tree having been planted by someone in the family or did it come from a relatives property? Due to its size and location on my property, would the death of the tree be devastating? How much will it cost to remove the Ash once it dies, and what will the cost of a replacement tree be? And, most important, how many years will it take for the new, two-inch diameter tree to grow to the size of the tree that could have been saved? However, if you determine treatment is the answer for you, being proactive and beginning treatment early is the key to saving your Ash tree! Expert Arborists recommend that treatment should begin as soon as an infected Ash tree is located within 15 miles of your house. Due to this, you should view your Ash tree as being infected right now! The photo at right was taken of an EAB infected Ash tree at the N/E corner of County Farm Road and Geneva Road in front of Winfield’s Fifth Third Bank. There are actually 4 EAB-infected trees at this location, and there are many more throughout the village. Obviously, every house in Winfield is well within the 15 mile radius where it is recommended that treatment needs to begin! For homeowners with small Ash trees under six inch trunk diameter, and who are inclined to treat their own trees, there is a product called ‘Merit’ that contains the active ingredient ‘Imidacloprid’. This product is available at hardware stores and nurseries. Even though it is recommended that you apply this product once yearly, Spring and Fall applications are optimal. You will not hurt your tree applying the extra product! For those of you with larger Ash trees, we recommend you contact an experienced Certified Arborist with a proven track record for an evaluation of your Ash trees. It has been found that a soil drench containing insecticide and a powerful fertilizer mixture combined with a trunk infusion that only an Arborist can provide is by far the most ideal and proven treatment method available. Trunk injections deliver a much stronger dosage of necessary product directly into the sap system of the tree where the insects are feeding. This treatment combination has saved tens of thousands of Ash trees in Michigan since 2002 and, now, thousands of Ash trees here in Illinois. ← Tim Allen Expects To Be Spoon-Fed His Information.